The best way to heat a squash court is from the ground up with the heat source where you want it most. 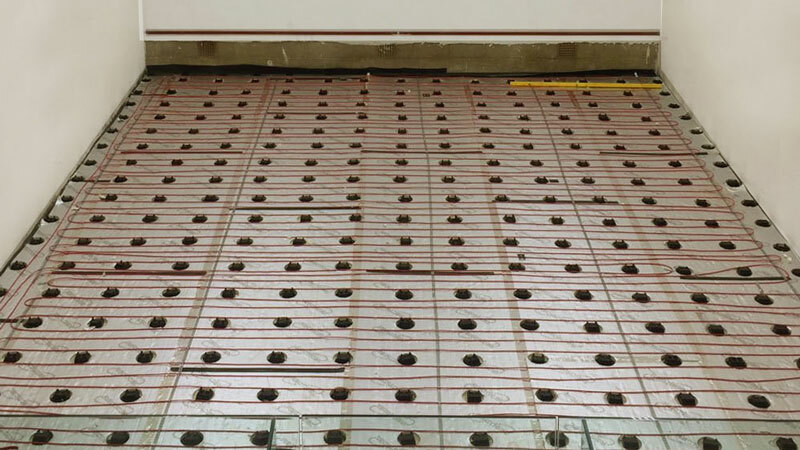 Underfloor heating can be supplied in two formats, either electrically operated or hydronic. Either system can be retro-fitted underneath your existing court floor (subject to survey) or as part of a new floor renovation. Economical and quick to install, this is the modern solution to the age-old issue of cold courts, or the noisy and dirty overhead heaters of yesteryear, which are prone to break down and expensive to service.